South Coast Journeys founder and Tour Guide, Hamish Tucker (B. Science (Applied Geography – Physical (UNSW) and Grad. Dip. Ed (Macquarie Uni)), has been employed as a High School Teacher in Sydney for the last 11 years. This has given me the opportunity to teach Geography, Business Studies and History to students from a wide variety of backgrounds. I have led and organised numerous study fieldtrips and camps around Australia. This has included trips to the iconic locations of the Great Barrier Reef, the Blue Mountains, Sydney, South Coast beaches and South Coast rainforests found in Illawarra Fly Treetop Adventures. In addition, I have an excellent understanding of the terrestrial (land) and marine environments of the locations visited. Hamish has worked as an Interpretive Guide at Bicentennial Park Wetlands (Sydney Olympic Park Authority) and at Buderroo National Park – Minnamurra Rainforest Centre (National Parks and Wildlife Service) and bush regenerator in the Sydney bushland, giving him a wealth of knowledge of local flora, fauna and ecosystem functioning. I’ve travelled throughout Asia, the Middle East, Western Europe and around Australia, including many camping trips on the South Coast of NSW and many trips with the Australian Army. I continue to be a serving member of the Australian Army Reserve as an Engineer. This experience has included planning, leading and organising troops in the Australian bush. My most recent experience has been as a trainer/mentor to the local Aboriginal community in Laura in Far North Queensland, as part of the Army Aboriginal Community Assistance Programme 2016. 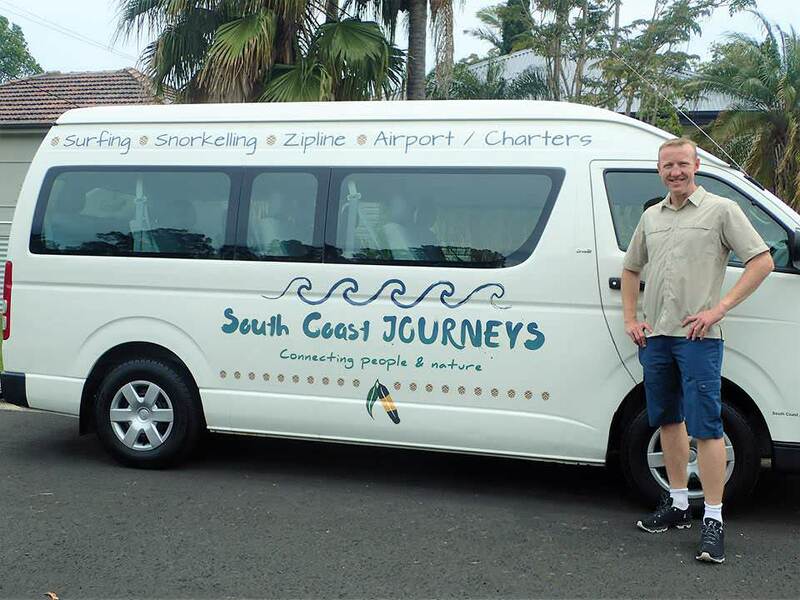 Above all, you can be assured that Hamish will make your travel experience with South Coast Journeys not only an enjoyable adventure but a safe one too!